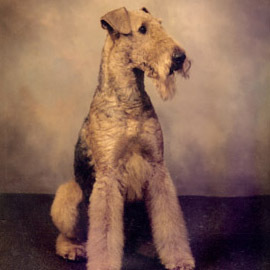 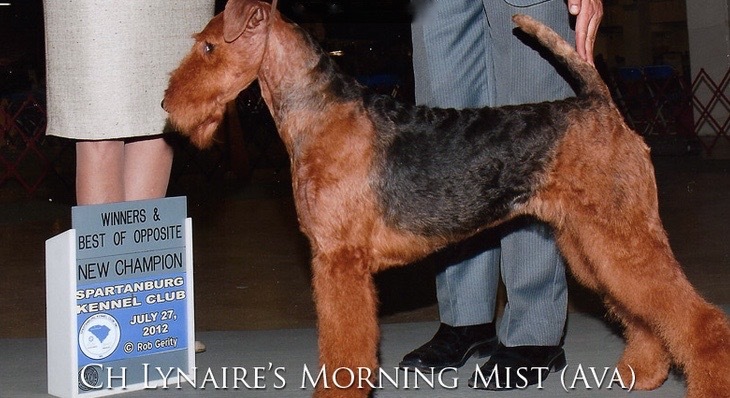 Lynaire has been producing happy, healthy and conformationally correct Airedale terriers for several generations. 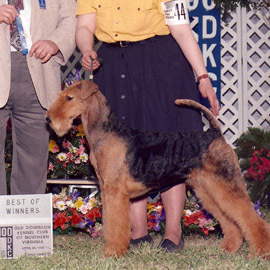 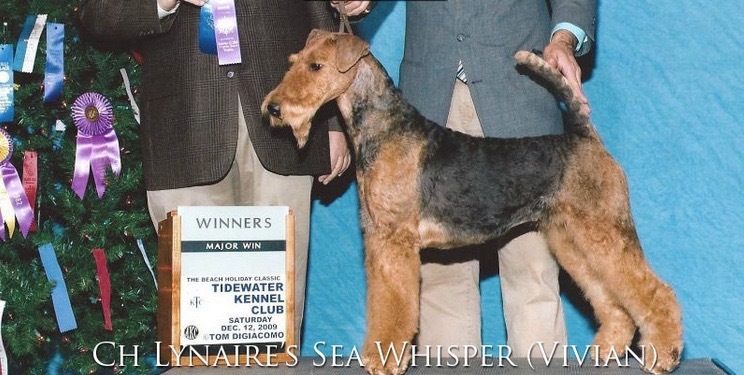 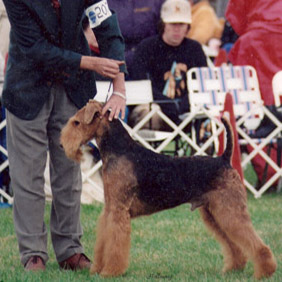 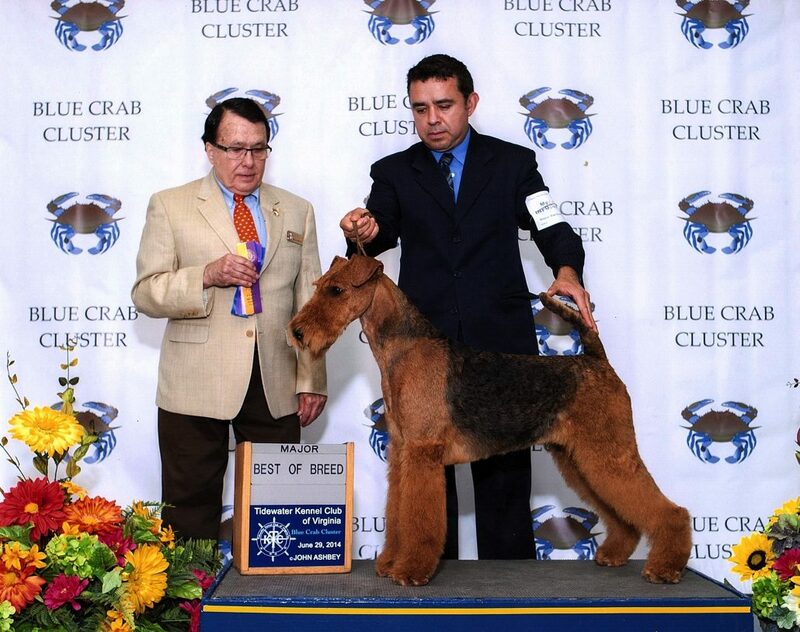 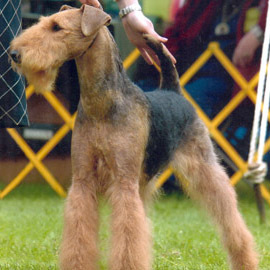 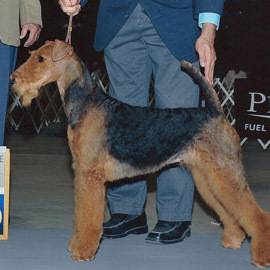 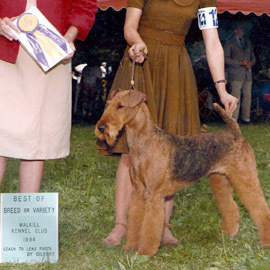 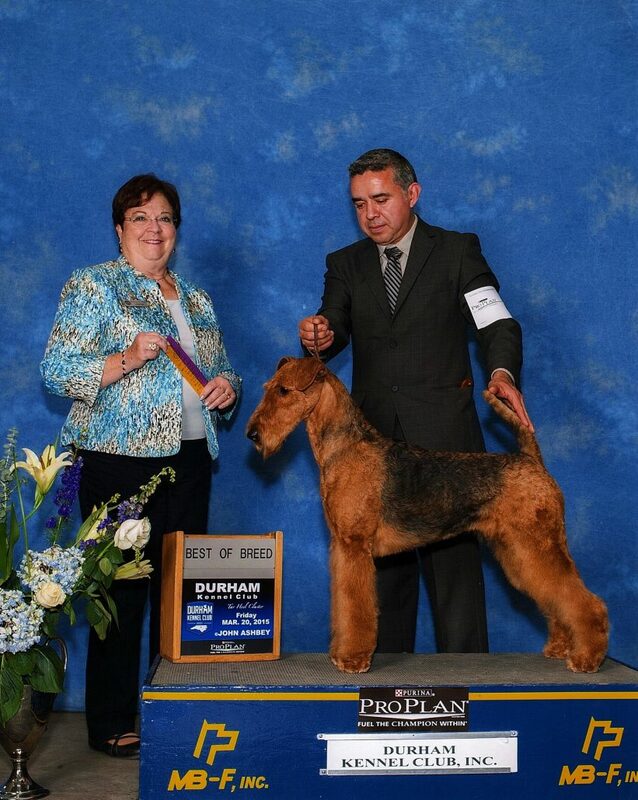 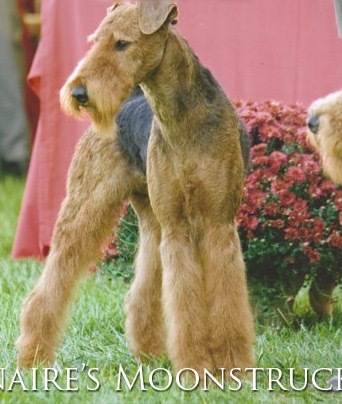 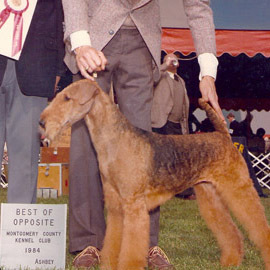 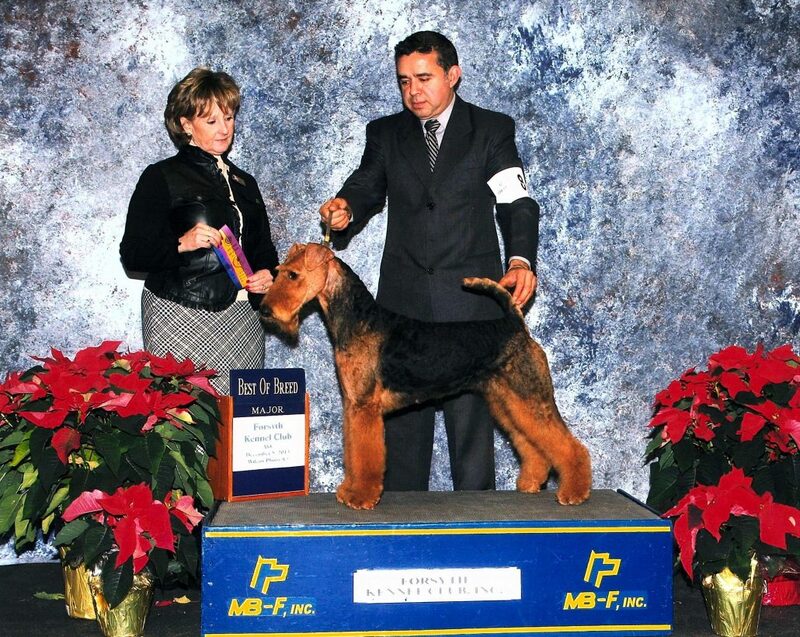 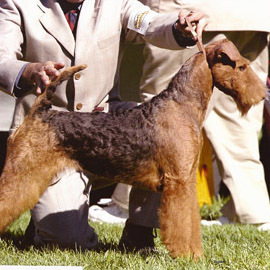 Owner Linda Jarvis has been breeding and showing her Airedale terriers with multiple champions since 1983. 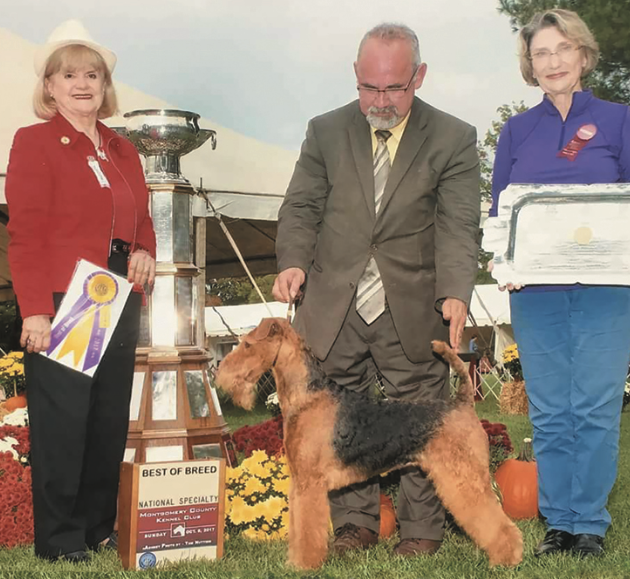 Linda is a past president and current board member of the Airedale Terrier Club of America and remains very active in the sport of dogs, attending seminars and judging. 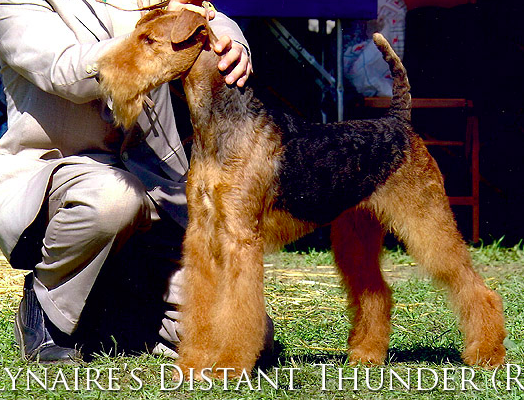 Airedales are a wonderful breed, but they are not for everyone! 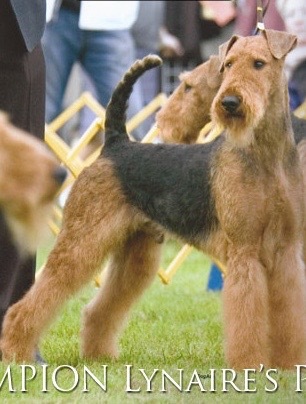 They have a lot of energy, get bored with repetition and will create their own fun if it’s not provided! 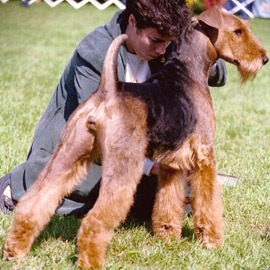 They’re intelligent, thinking dogs that require a lot of patience and training, but with patience, they are very rewarding companions. 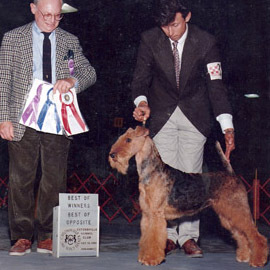 Do you have a good sense of humor and a willingness to forgive and forget? 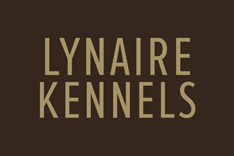 Do you have a fenced area for the dog to exercise and go potty? 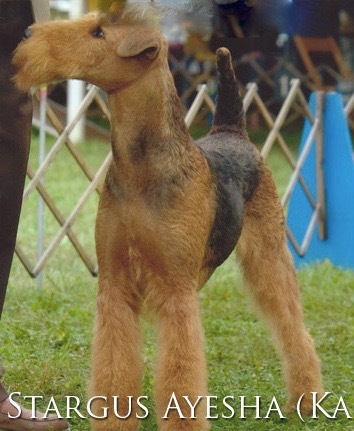 What will you do when it rains? 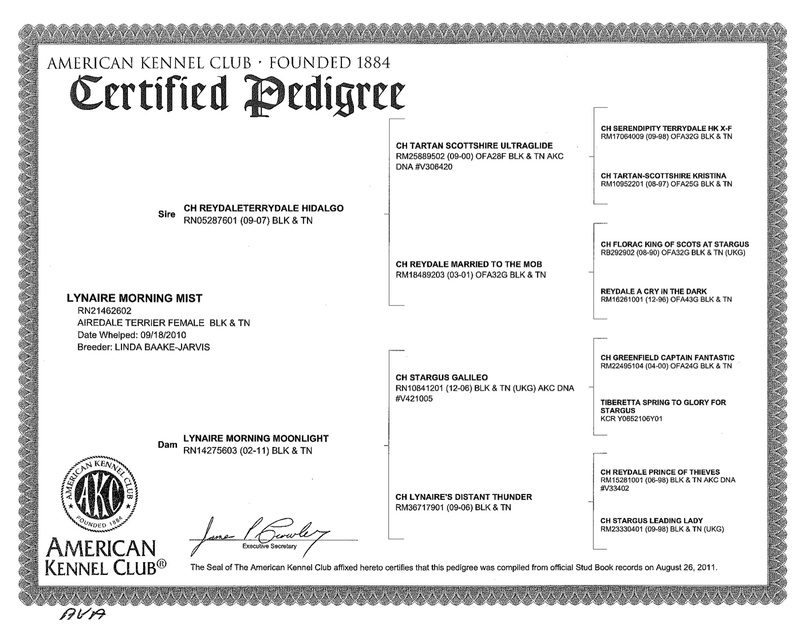 Do you have the time & schedule that works for you and your companion? 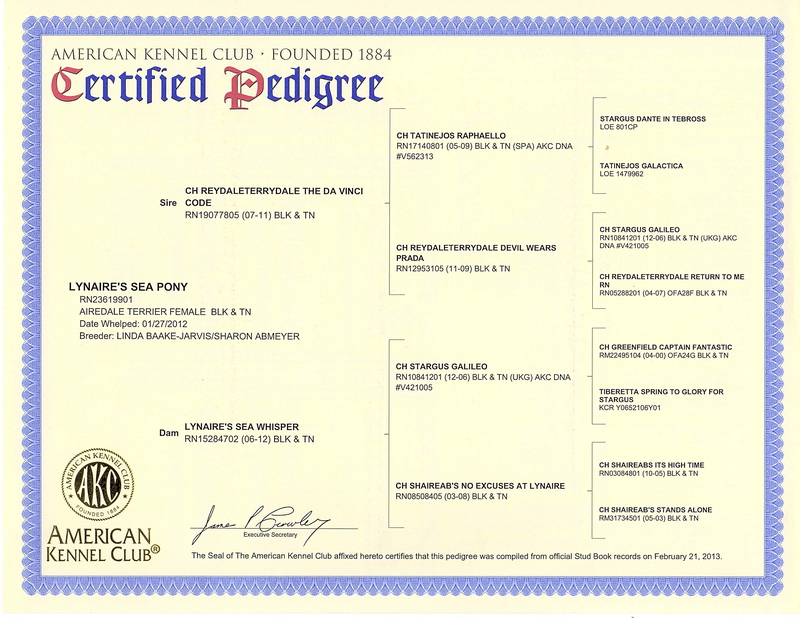 Can you provide regular potty breaks and feedings? 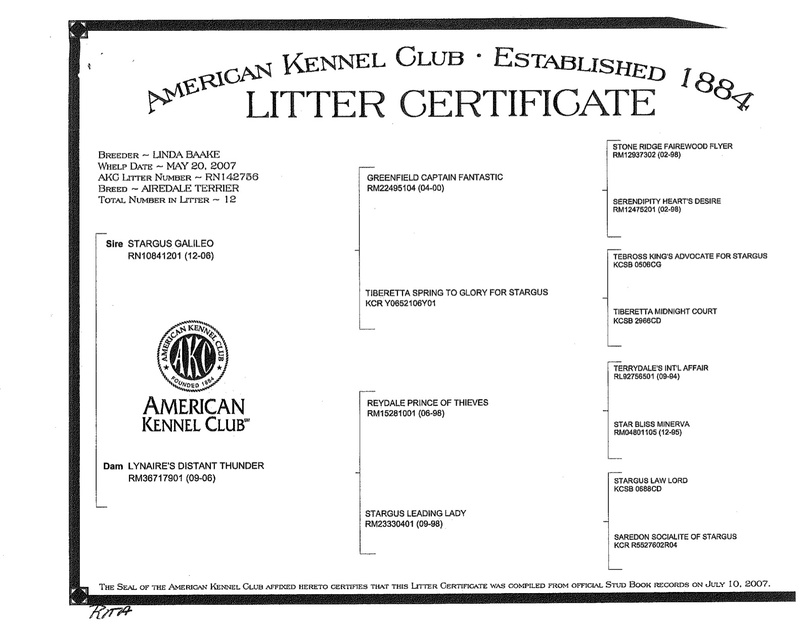 Do you have time to properly socialize your animal? 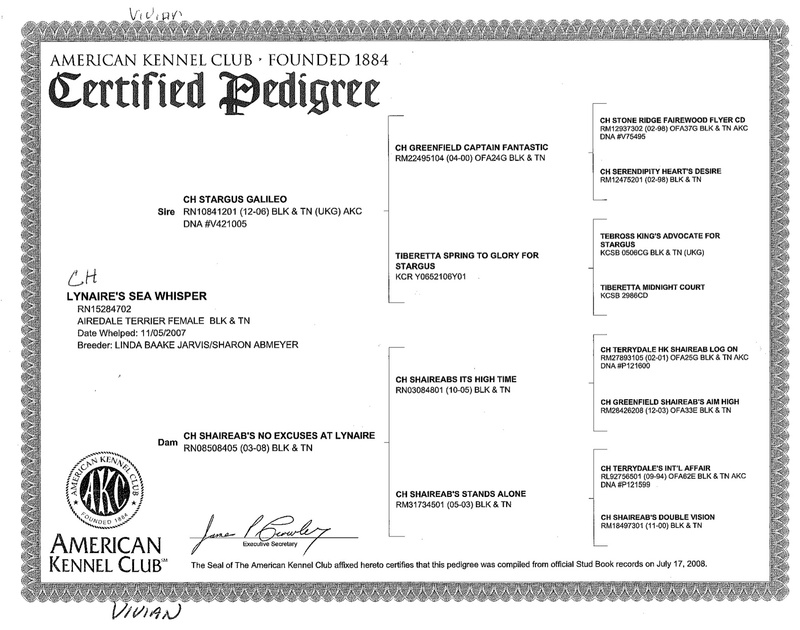 Are you able to take your dog to training class? 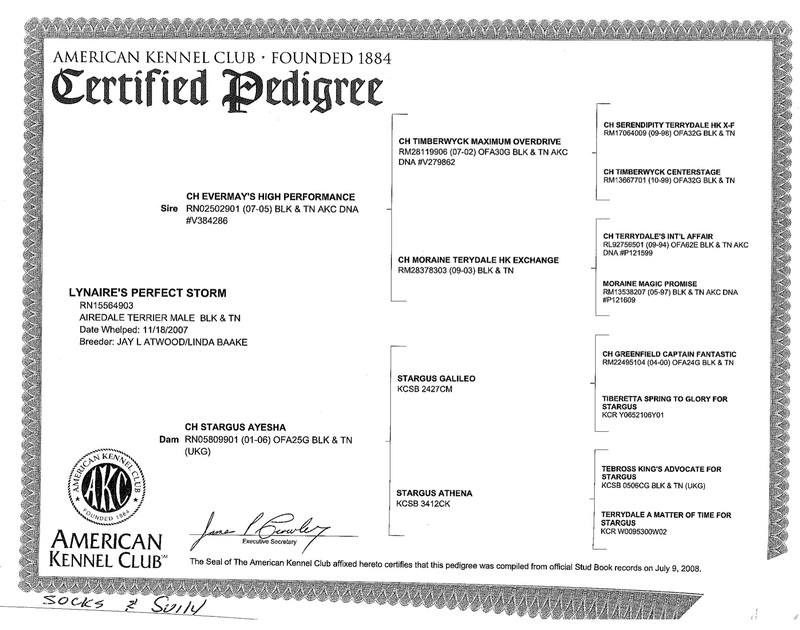 Basic obedience is great fun for you and your companion! 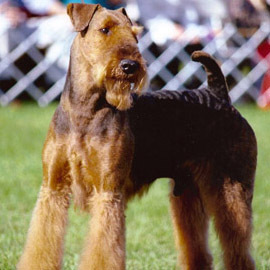 Do you have children? 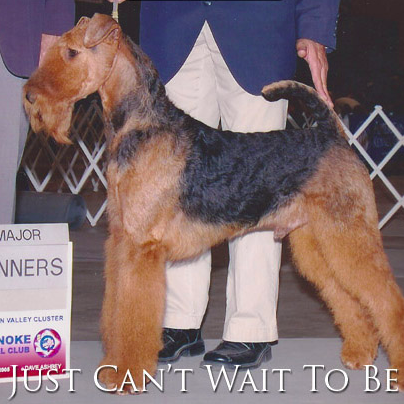 If so, are you willing to take the time to teach them the proper way to deal with a dog? 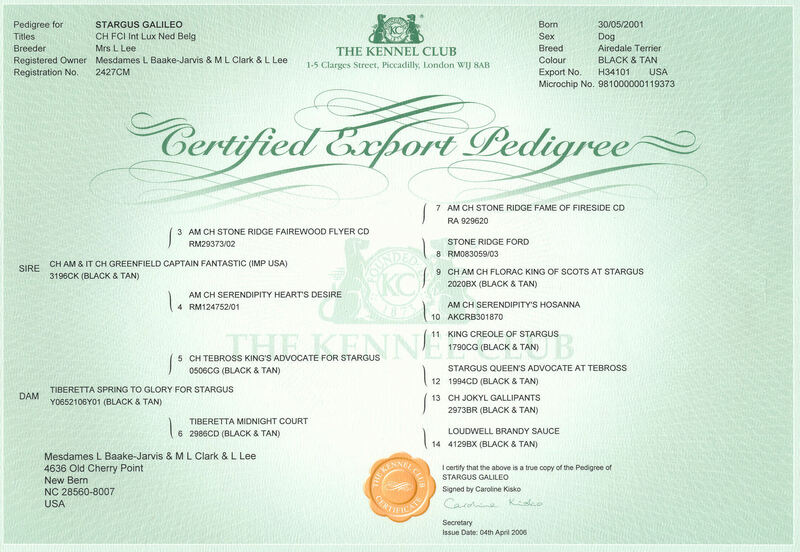 Are you willing to train your animal for its safety and your peace of mind? 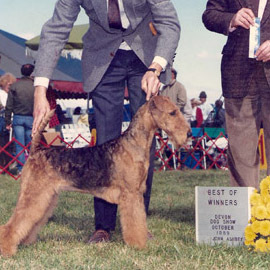 The Airedale FAQ is maintained to assist anyone interested in learning more about one of the breeds that we love. 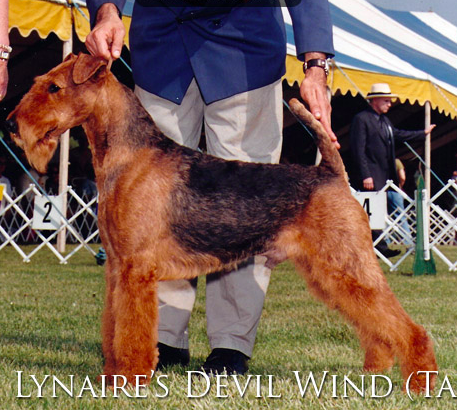 If you think that a Lynaire Airedale is right for you, please fill out our questionnaire! 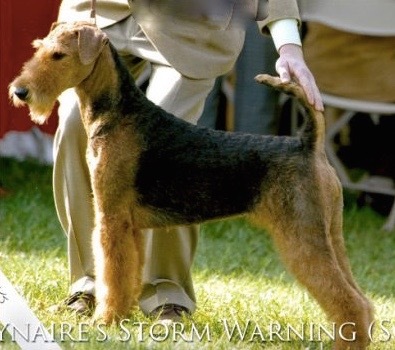 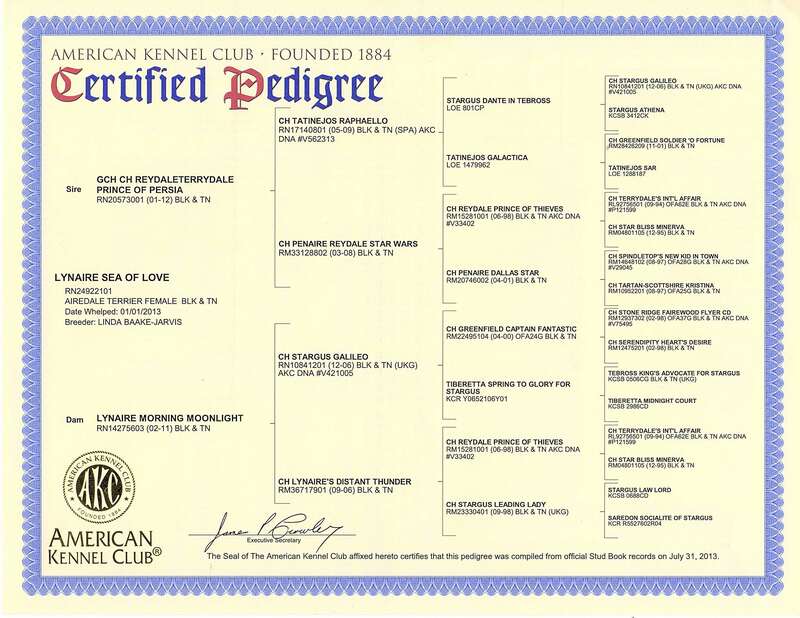 Check out the pedigrees for Lynaire Airedales of Today!